My husband is a master at the grill. 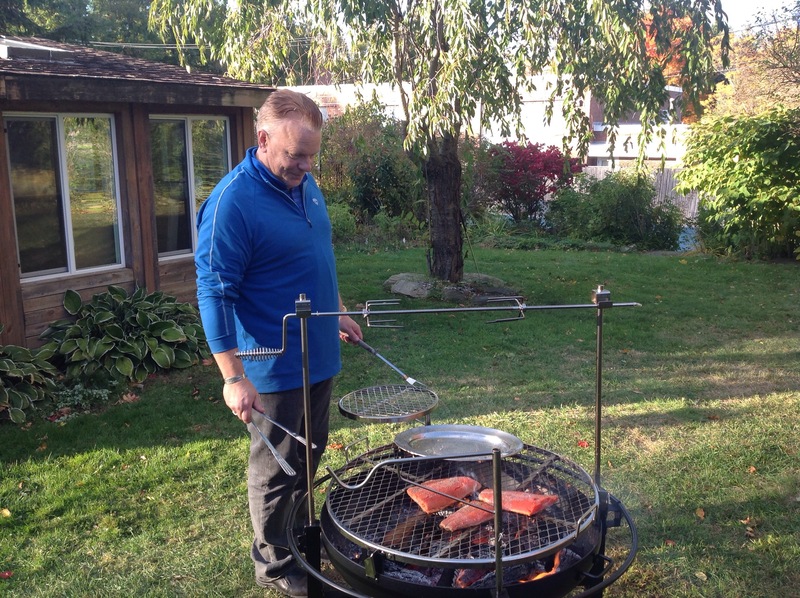 He enjoys grilling so much that he got us an all in one sleek outdoor grill/rotisserie. Today, as much of the Northeast is experiencing, is much chillier than what we have been exposed to up until now; but as long as there is sun outside, the grill is open, in as far as the snows don’t get in the way. 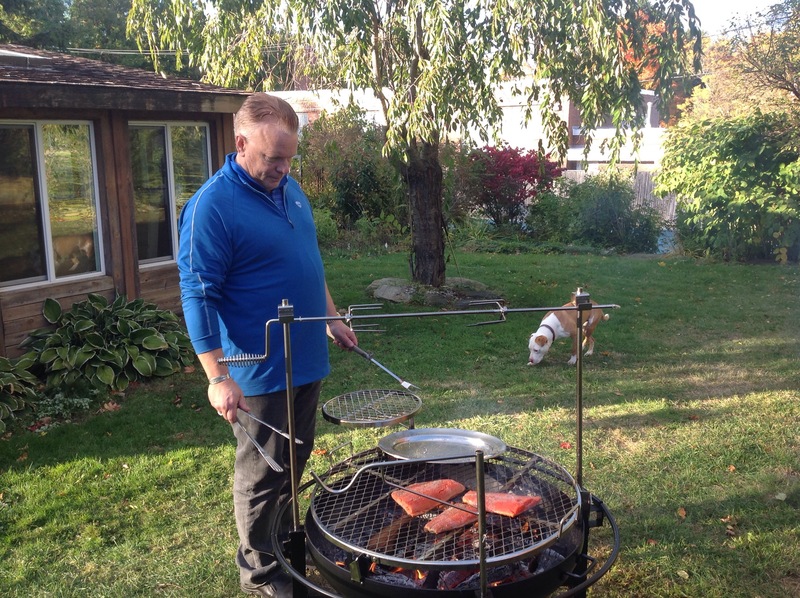 I have seen my husband grill with a parka on, the fire kept us warm and it was delicious. I love steak off the barbecue and my husband plays with different woods to make it special, my favorite part is the carbonized fat, I’m fairly sure that it isn’t the healthiest piece of the steak, but it is so yummy, especially when you eat it at the same time that you bite into the rare meat, the burnt sear contrasting with the beautiful red, firm muscle, it doesn’t get any better than that for me. He looks in his element! Anthony used to be brilliant at bbcuing too!